If you’re a brand new artist from the Markham or Toronto area, and have read our blog on how a local artist can build a buzz in the city and have seen a slight growth in your fan base, then its time for you to please your fan base by recording more vocals and produce music. Lets be real, as great as it is to record in a professional music studio like Encounter Studios is, for someone starting off it may be intimidating and costly to record professionally. Another option is to purchase your own recording software like pro tools or logic pro X, but for some that may not fit within their budget as well. Luckily with everyday technology like an iPhone and android phones artists have a wide range of applications that they can record on. We here at Encounter Studios have created a list of phone and tablet apps for IOS that any artist can use to record music, for under $30. With garageband you the artist can turn your mac computer, iphone or ipad into a digital audio workstation. you will be able to record on the go or in a private area. 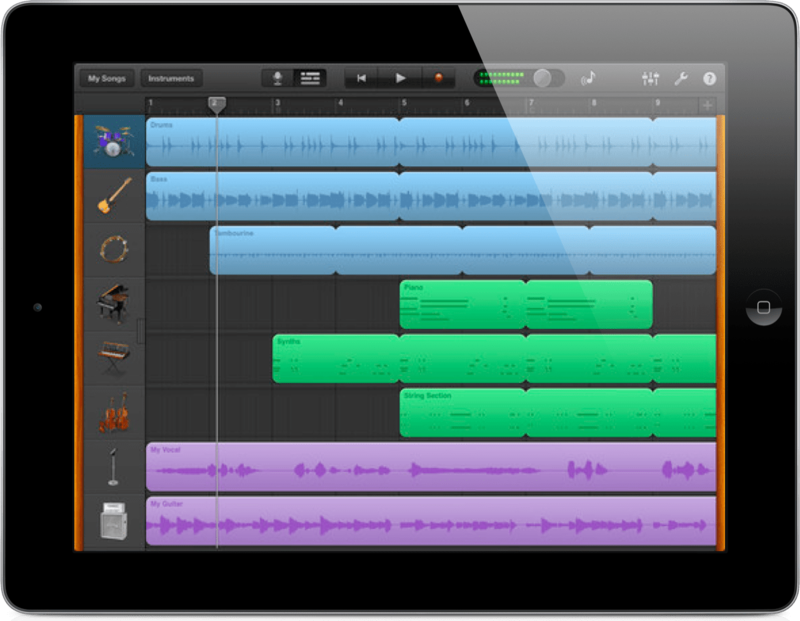 Garageband gives you access to a library of instruments and sounds which you can add into your tracks. For an artist with a low budget garageband is affordable with alot to offer. This is why the applications is used by many artist. StudioMini XL allows you the artist to record music with your ipad with CD audio quality. SudioMini comes with 78 loops in 13 different music styles which is why the famous band Gorillaz created a LP on an ipad using this app. It goes to show that professional sound doesn’t always mean you have to spend a lot, especially if you’re a local artist. Are you an artist that loves to create your own beats. The Akai iMPC is a low cost digital MPC that has all the functions of an actual MPC machine. If you are on a budget and can’t afford high cost sampling machines, then this app is for you. We here at Encounter Studios hope you consider all these wonderful apps if you’re an artist with a budget to record and product music. If you’re an artist thats ready to take your music experience to the next level than we hope to see you in our state of the art studio recording your next big hit.